Nestled amidst numerous hot springs, the Nishiyama Onsen Keiunkan is the oldest hotel in the world. Interestingly, this hotel has been run by lineages of the same family for over a millennium. This hotel has catered to the needs of ancient samurais and modern tourists alike over the past millennium and continues to do so. The splendor of the architecture and the natural vistas draw travelers and soul seekers from all around the world to this melting pot of ancient oriental culture. Over 52 generations of a single family have nurtured and preserved the inn. The feel and décor has remained unperturbed by the flow of time. 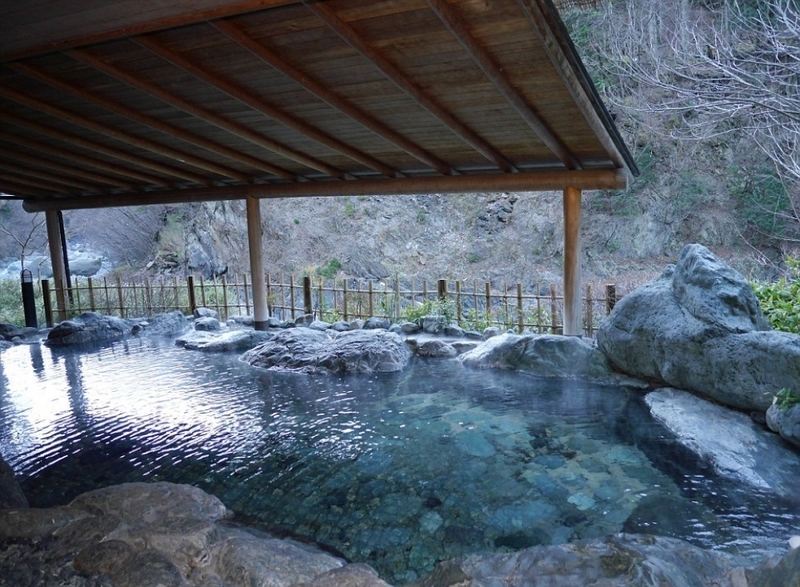 The Nishiyama Onsen Keiunkan is extremely well sought out by the expert travelers for its beauty and heritage alike. Besides the usual tourists this has served as temporary abodes for a number of famous samurais and shoguns who have left their marks in the history of the place. This Guinness Book of World Record holding hotel still dwells in the 8th century in the midst of hundreds of healing hot springs. These mineral water hot springs provide a relaxing getaway for travelers from various parts of Japan as well as the rest of the world. This hotel was founded in 705 AD (the dawn of the Keiun Era) by Fujiwara Mahito. Till this date the Nishiyama Onsen Keiunkan is the living embodiment of hospitality and generosity for the regular guests who seek refuge in the embrace of nature throughout the year. In reality, the rooms and the decors of Nishiyama Onsen Keiunkan are far placed from the gaudiness and chaos of Tokyo as possible. If you judge Japan by the sights of Tokyo, Osaka and Yokohama then you are missing out on the true façade of the country. This thousand year old hotel nestled between the lush green hills, far away from the city rush offers you a true glimpse at the serenity of the country and its rich culture. While some people might view the lack of modernization as a downside, the preservation of old heritage gives the feeling of a pleasurable time travel for the visitors from all over the world. Notably enough, this hotel lacks Wi-Fi and other forms of internet service, but it does have the true essence of Japanese hospitality. All guests are given a choice of authentic Japanese style rooms with open air baths or authentic Japanese suites. The well maintained hotel rooms have hardwood finish like traditional Japanese homes, handcrafted wall hangings, furniture and room décor. The finest details of the calm and minimal interior décor are maintained to give the guests a true taste of the Japanese traditional lifestyle. Most of these rooms are expansive with a minimum of twelve tatami mat areas. Just as an added treatment of true Japanese hospitality, all guests are welcomed with a breathtaking view of the mountains of Kai peeping into their bedrooms from a distance. All windows frame the picturesque Hayakawa and Yukawa ravines. All the hotel rooms have their own free flowing open air baths. These free baths simulate the feeling of relaxing in a hot spring right inside the comfort of the ethnic rooms; one can also choose a communal bath for enjoying the real feel of the olden Japanese traditions. If you opt for one of the Japanese suites then you will be treated to your very own outdoor spring baths and mountain stream baths with complete privacy. History says that the waters of these springs are infused with necessary minerals like sodium, sulfur, chlorides and calcium nitrate. A unique milieu of these minerals in the natural hot springs has a wonderful healing effect on the body and mind of the battered city dwellers. After long relaxing baths in the mineral springs many of the guests choose to bask in the mellow sun on the private terrace of the Nishiyama Onsen Keiunkan which offers an unabated view of the Yukawa ravine. More than just adventure and romance, the Nishiyama Onsen Keiunkan provides a complete healing package for all who are looking for a perfect escape from the humdrum city life. Travelers seek out solitude in the traditional aura of Nishiyama Onsen Keiunkan year after year as the springs keep the hills and the hotel alive. The hotel is notably one of the largest hot spring hotels, and pumps about 1,630 liters of water every day from the nearby natural springs. Nishiyama Onsen Keiunkan is open all year round but the rush is unimaginably high.